Carl J. Simonsen is committed to ministering to pastors of Amador County in the Sierra foot hills East of Sacramento, CA. He is a native of Chicago, and after receiving his B.S. in Electrical Engineering from the University of Illinois he began a 28 year career as an engineer with one of the high tech semiconductor companies in the Bay Area. During his first 5 years of work, he also attended the University of Santa Clara and there received his M.S. in Electrical Engineering. He moved to Oregon in 1979 and worked there until retiring in 2003. 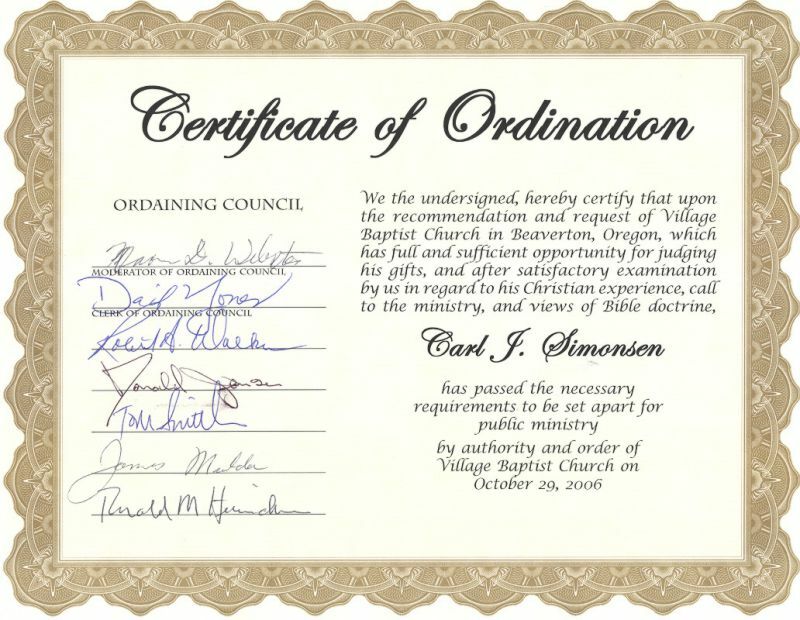 During Carl's 28 years in Oregon he and his family attended and were members of Village Baptist Church. Carl was regularly involved in Awana as a lay ministry during nearly all of those years. Initially Carl served as a leader of the 3rd grade boys, but over the years served as club director for both Sparks, and the 3rd-6th grade clubs and for many years filled the role of commander, overseeing the total Awana program at Village for the 3 year olds through 6th grade ministry. During the later years, Carl and his wife Pat jointly served on the Oregon Awana Missionary Ministry Board assisting with the state ministry. When the Oregon Awana missionary retired Carl temporarily (about 6 months) coordinated most of the State Awana activities and put together the annual Jr/Sr High camp for nearly 300 staff and campers. 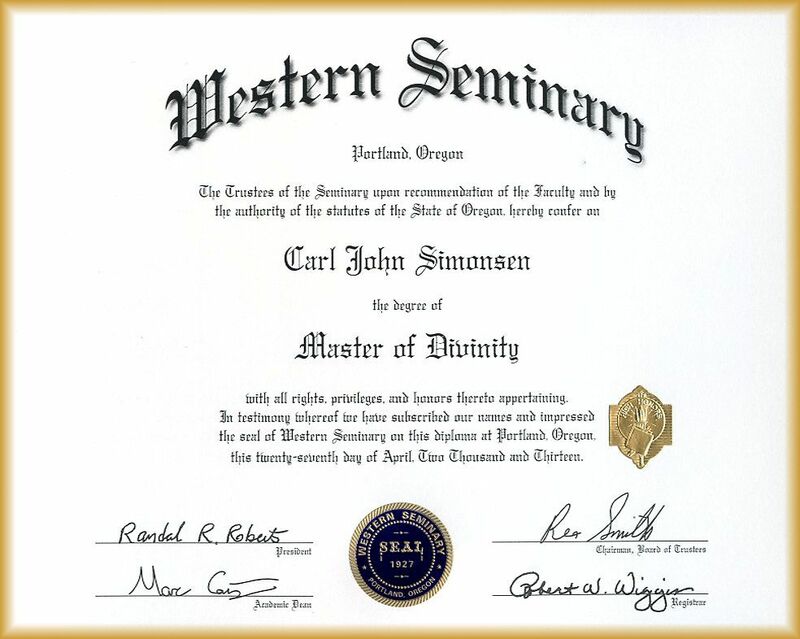 After retiring, Carl attended Western Seminary completing the requirements for an M.A. in Specialized Ministry in December 2006. Carl and his wife Pat began their move to Jackson in January 2007. Since that time, Carl has been ministering to pastors of several churches in Amador County in a ministry called "The Shepherds' Assistant". He also continued his seminary training at Western and completed his Master of Divinity in May of 2013. Carl and his wife Pat are now members of Cornerstone Church in Ione, CA and work in various ministry roles throughout the church including Awana, Small Groups, teaching Church and supporting the AV systems. Carl and Pat have two adult children, Matthew and Rebecca. Matthew is married to Amy, living in Amador County CA. and they have three children. Rebecca is married to Paul, living in Germany and they have one child. Carl's interests include computers (both graphics, web design etc), photography (especially digital travel logs), amateur radio, and the archeology of Biblical lands.